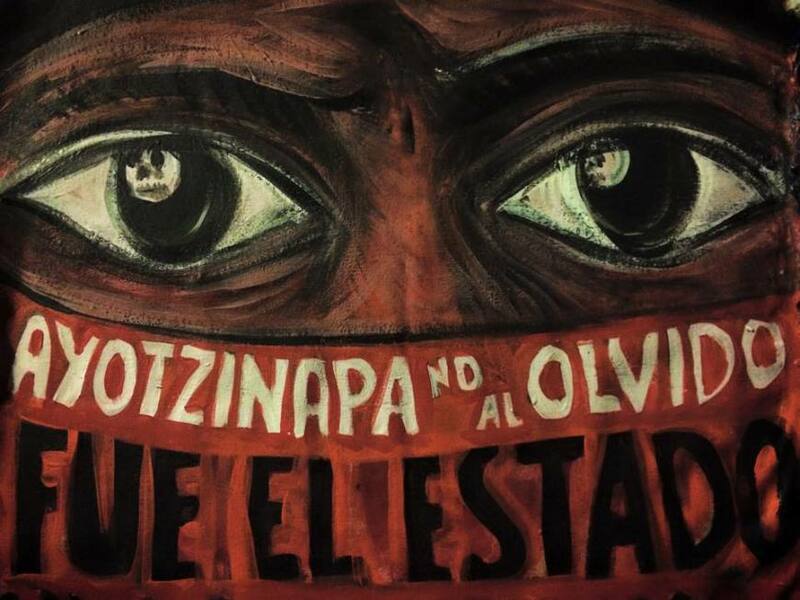 “We want to be in the heart, in the dream, in the soul, in the struggle and in the memory and hope of the 43 disappeared, the 3 murdered and the one other compañero who is in a coma. And we also want to be in the heart, in the dreams, in the memory and hope of the thousands of disappeared in all of Mexico,” the Indigenous Tsotsiles added. They held a day of prayer in solidarity with the disappeared students. “We began in the ceremonial centre of the Acteal martyrs by presenting the photographs of the disappeared students,” they shared.